Top O’ the Rockies Contest! This is a regional contest in addition to Utah’s annual contest. 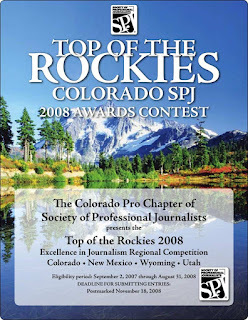 Anyone interested or seeking an entry form should contact Cynthia Hessin, 303-620-5654, spjcontest@live.com; or Noelle Leavitt, 720-299-4895, leavittliz@yahoo.com.